American Control & Engineering Service, Inc.
Underwriters Laboratories is the recognized world leader in product safety certification and compliance. 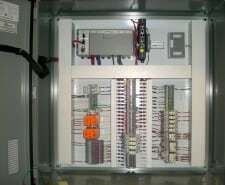 Our panel shop is UL 508A and UL 698A listed. Your panels are built to the highest standards and most advanced technology, and we’re also specially trained in the manufacturing of explosion-proof panels for use in environments containing gas vapors, paint fumes or other volatile substances. Whether it controls an aircraft factory furnace, a municipal wastewater lift station, or a company-wide data acquisition system, every control system has one thing in common: It must work flawlessly in a variety of conditions and hazards. We custom-design our panels to fit your needs and then build them with hand-picked components of the highest quality, carefully labeling wires and documenting the process as we go along. The best components combined with the labor of our skilled, UL-listed panel shop technicians equals a panel that is built for safety and reliability — both inside and out. The oversight of a licensed Master Electrician further minimizes downtime and added expense later on. 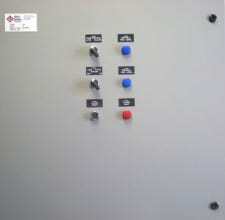 For example, read about 10 explosion-proof, NEMA 7- rated LACT panels we completed under deadline-sensitive conditions and shipped to the oil fields of North Dakota. From a single operator panel to a whole factory of networked stations we build custom enclosures of any size or quantity. We can also build to match existing equipment or to accommodate special environmental requirements. Our explosion-proof customizations include details such as 1.5″ thick, cast aluminum walls reinforced with Grade 8 bolts. 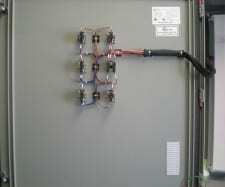 Compliant with NFPA 70, 79, 86, etc. © 2015-2017 American Control & Engineering Service, Inc.